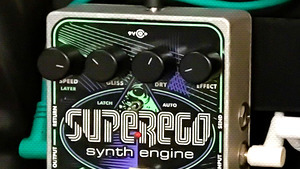 KitMonsters – Electro-Harmonix Superego Synth Engine. The music makers’ guide to making music. 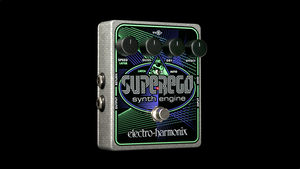 The Electro-Harmonix Superego is a polyphonic Synth Engine effects pedal that ‘freezes’ sounds - giving you sample and hold, fluid controllable glissandos, oscillator style, synthesizer effects. You can get unlimited note and chord sustain, build a stack of sounds, and get creative with the effects loop to create patches. It has Speed, Gliss, Dry, and Effect controls.